I don’t think I ever considered what I would do if we had a fire at our house in America. It was obvious to call 911 and the fire department would come. There is no 911 in Haiti. Or if there is, we don’t know that they’d even show up. You’re on your own in Haiti most of the time. I don’t know that I ever thought about what I would do here if a fire ever broke out. But, we got to experience it firsthand last week, so now we know. Haha! That Saturday, Gary was exhausted and went to bed earlier – something that is extraordinarily unusual. I stayed up late – also extraordinarily unusual. Around 11pm, I heard a “POP” and it didn’t sound good. I was only two steps down when I saw orange flames lapping at the side of the open-air brick wall that separates inside from out. I yelled “FIRE”, ran down the rest of the stairs past the flames creeping under the steel door, and immediately began filling the dish bucket with water. 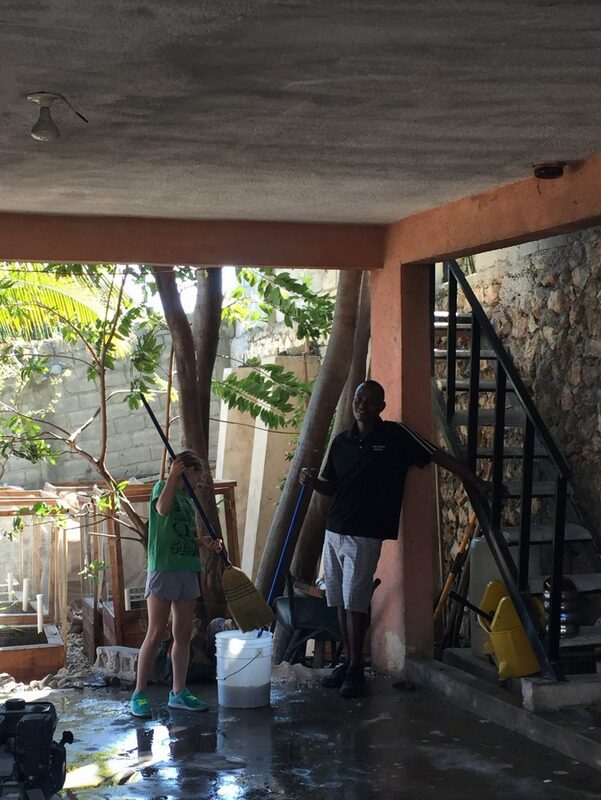 If you know anything about water pressure in Haiti, then you understand how long this task could take. Bless. my. heart. The battery cage was still glowing, but there was little we could do – we couldn’t put water on it. Fortunately, that fire began to fizzle out as we coughed, sweat, and gathered our thoughts. Gary, Gracie, Vilsoit (our security guard) and I looked at one another and praised God everyone was safe. It was a huge fire, but it could have been worse. We are so thankful more damage wasn’t done and that everyone was safe and sound. We get power from 2 sources: EDH (the power company) & solar panels (we also have a small wind turbine) … These 2 sources charge our battery bank, which gives us power throughout the day. The power must be converted from battery power to usable home power through an inverter. EDH give us power most nights. This particular night, they pushed double the voltage which caused a fuse to blow and spark. That, in turn, set a wire on fire (to the battery cage). 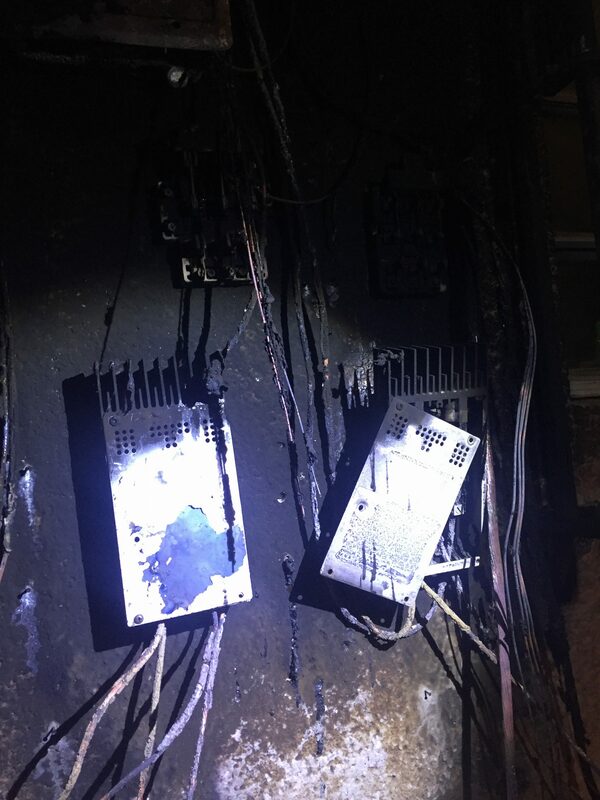 The small electrical fire caught hold of the shoe organizer hanging nearby and lit the shoes, organizer, and anything nearby on fire. 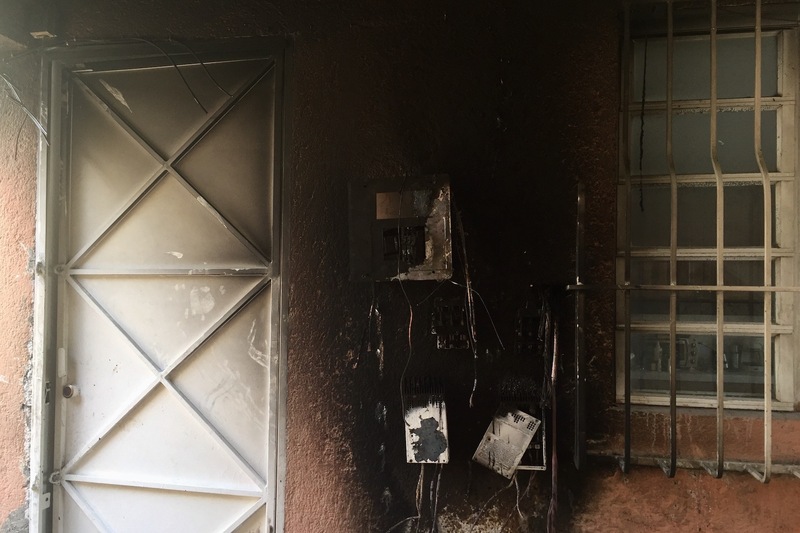 It looks like our batteries somehow survived the fire. We likely won’t know if there was permanent damage until a later date. The inverter has to be replaced, as well as the solar controllers and all the wiring. We had to clean and repaint the entire carport. And we’re hoping that the front tire of the car wasn’t weakened. But God is good, and no humans or animals were harmed. People have been so generous with their gifts during this catastrophe and we are thankful. We still need to raise a little more to get back operational, but we trust that God is doing a lot in this situation! 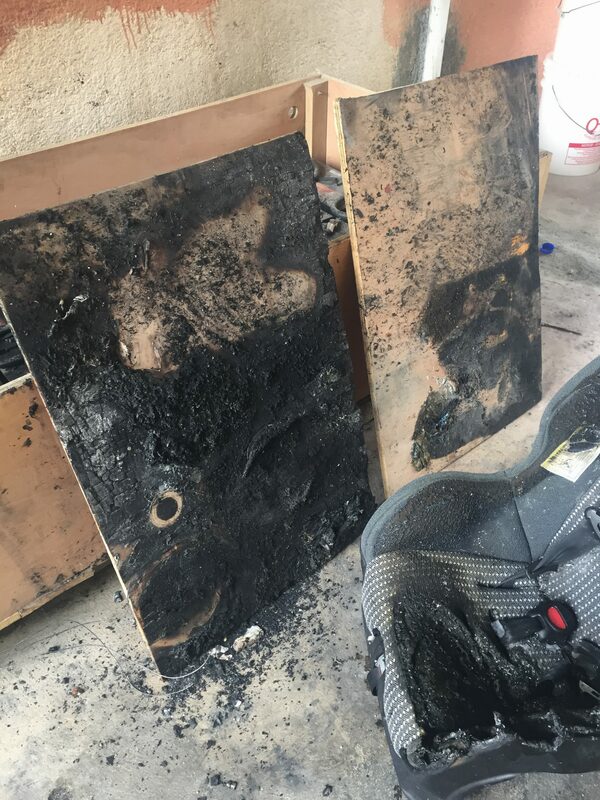 The only other damage is a little trauma … Gracie really struggled because when she first came downstairs, she saw the fire but not me. There was that momentary panic of “did I lose my mom?” and she feels things deeply. 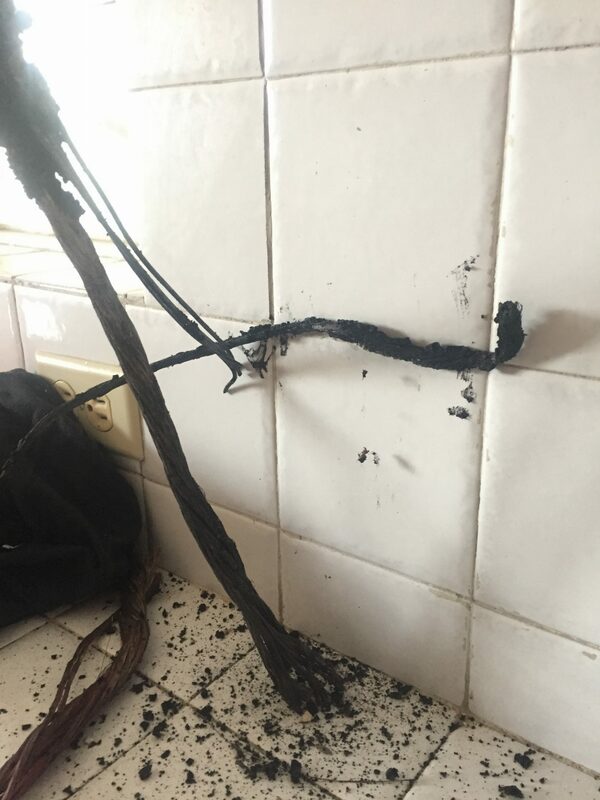 Haitians tend to burn their trash, and lately that has brought up some feelings of anxiety and worry for us, but we are getting through it together. And we have the blessing of some incredible Haitian friends who were at our house the next 2 days to be sure we were ok and to help if we needed. We know how hard it can be for a foreigner to earn trust and develop relationships, so we are honored to have both with the nationals we love and serve. If you feel led to give toward recovering from the fire, you can do so here.